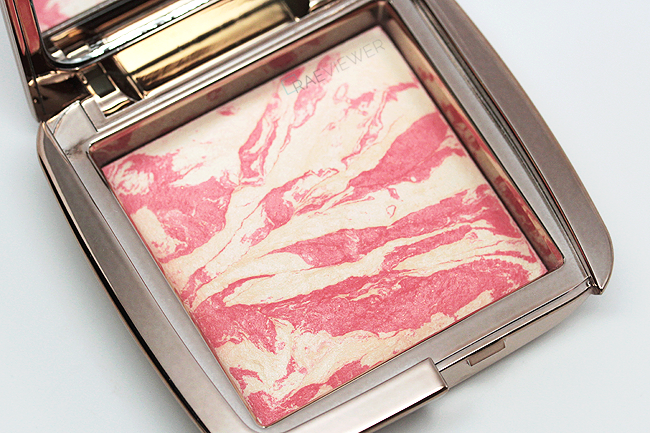 The Hourglass Ambient Lighting Blush ($35 USD each) was the most highly anticipated launch of 2014 thus far. A groundbreaking hybrid that combines the customized lighting effects of the Ambient Lighting Powders with modern hues, these wearable new blushes offer seamless, soft-focus, and multidimensional color. Check out the face swatches after the jump! 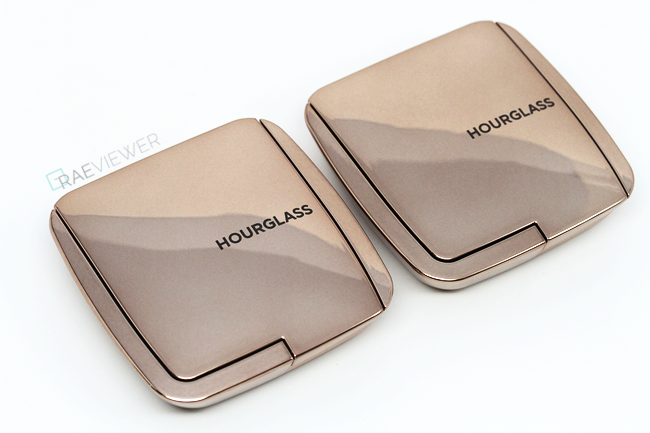 According to Hourglass, the Ambient Lighting Blush uses Photoluminescent Technology to exhibit depth and dimension — unlike traditional blush, which tends to be flat. The airy, lightweight powders contain optically transparent particles that amplify the colors to a multidimensional level. 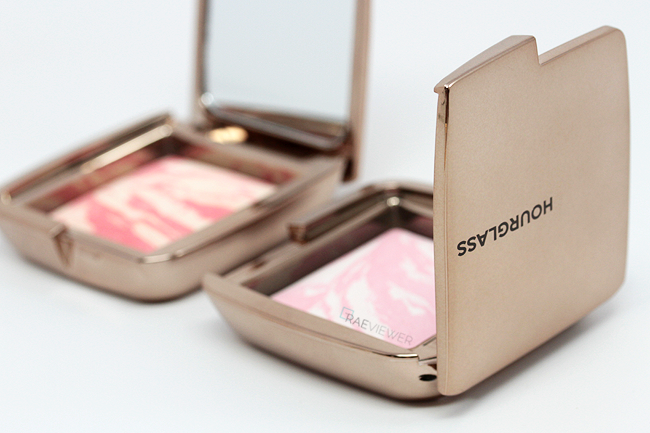 In short, these new blushes have a supremely soft and easy to blend texture that does not look heavy on the skin. Each hand-made blush is formulated using an advanced miscelare (meaning "to mix" in Italian) technique to create the perfect balance of pigment and powder. No two look alike! All the colors deliver a radiant, natural finish and offer buildable color to imbue the entire complexion with an otherworldly glow. I love my Ethereal, Diffused, and Dim Ambient Lighting Powders, so naturally, I gravitated toward their counterparts for the blushes. The baked pans were almost too pretty to dip my brushes into! The fusion formula truly enhances the skin. 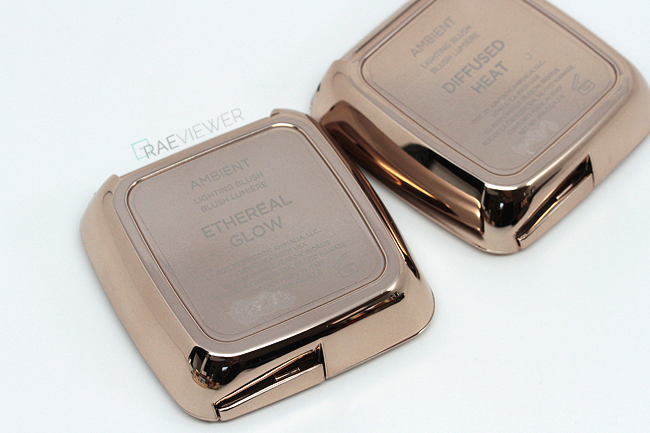 I found them to caress my cheeks gently and even more seamlessly than the Ambient Lighting Powders. No chalkiness whatsoever. Some had voiced concerns that Ethereal Glow was too pale to show up on light-medium skin, but a generous hand proved successful. 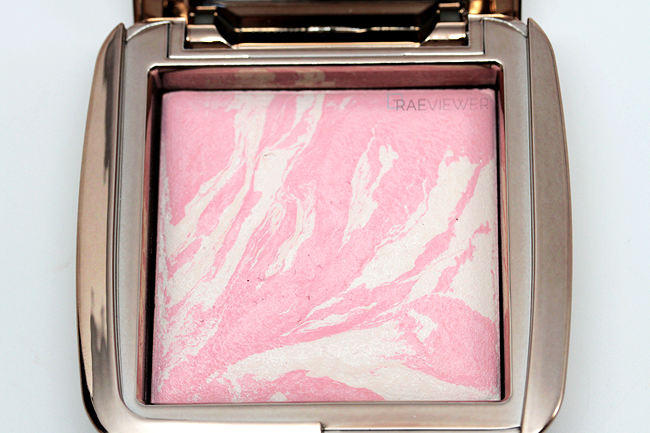 Since bronzer is my everyday staple, I prefer blushes that are subtle and subdued. 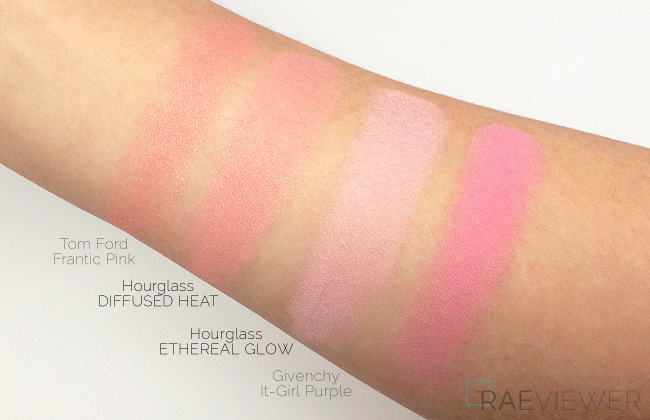 Ethereal Glow is the perfect hint of baby pink, one of the few that does not oxidize on my warm coloring. It is now one of my top 3 blushes! Diffused Heat is somewhat similar to Tom Ford's Frantic Pink. The pale yellow veining in Diffused Heat, however, gives the blush more vibrance and as a whole, is much easier to layer for more color payoff. This color is the ideal color to mimic a natural flush on my light-medium skin. It will suit fair to medium skin tones best since the poppy tones perk up the complexion without overwhelming it! I used a light hand to apply it in the photo above, yet the camera captured it well. 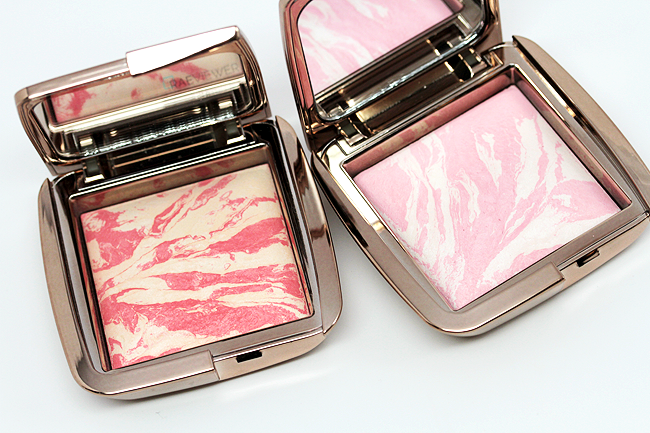 I was apprehensive that the brighter shade might accentuate pores, but the Ambient Lighting Blushes are so silky smooth that they do effectively create a halo effect. Think of it as real-life Photoshop for the cheeks! 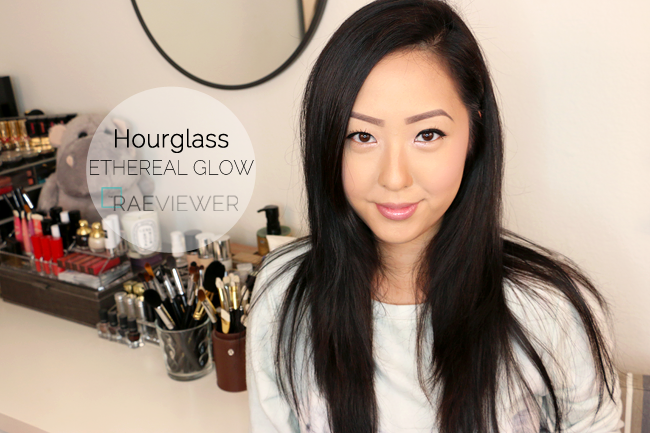 The best part is they wear all day, only fading around 6 - 7 hours on my normal skin and lasting at least 8 hours. Bottom Line: These Ambient Lighting Blushes are truly phenomenal blushes, and because the baked textures create a soft focus luminescence that is ultra flattering on the skin, give at least one a try! Will definitely give it a try! Love how the Diffused Heat show on your skin. I have medium tone, so I think this one will not look bad on my face. 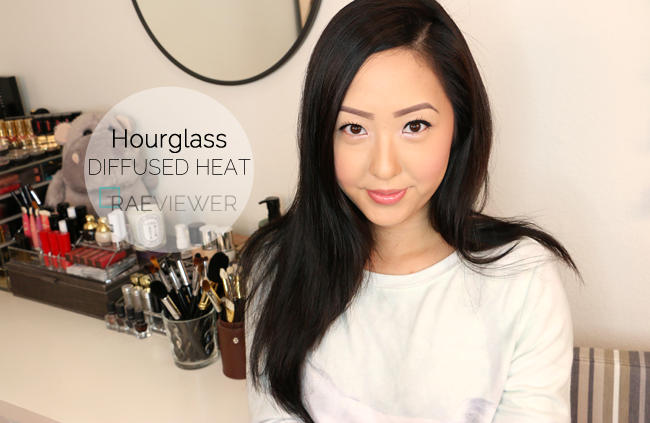 I agree with the other commenter, Diffused Heat looks lovely on you! Also, I was wondering what you used on your eyebrows in these pictures? 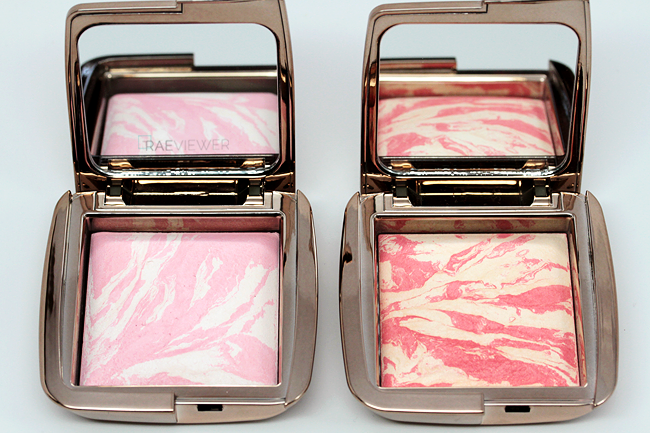 Is there flashback in photos from these blushes? Haven't tried with flash but there most likely will not be.